When traveling in Spain there are many places to experience the rich history, culture and artistic style of the county. 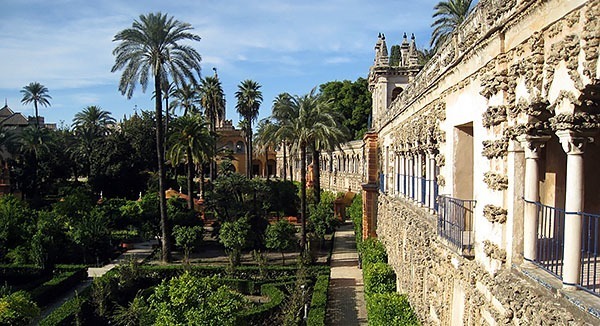 The royal palace Alcázar of Seville (Reales Alcázares de Sevilla in Spanish), in Seville, Spain, is an ideal tourist destination. With a name that translates to “palace”, visitors will find the class and elegance in style of the time period in which Alcazar was originally constructed. The first buildings of the palace date back to 712. Over the years numerous updates, additions and sections have been added. It is the oldest palace in the entirety of Europe that is still currently in use, most recently by the current king as a wedding reception site for his oldest daughter. The castle is a very popular destination for tourists and locals alike, so expect to find a line. However, the beauty of the castle is defiantly worth the wait and cost. Entrance fees are 8.75 euros for adults and kids under 16 years of age are admitted free. Hours of admission to the Alcazar vary. During the winter months (October thru March), the castle is open 7 days a week 9:30 a.m. until 5:00 p.m. Closing time extends to 7:00 p.m. during the summer months. Last updated by Rebecca Swainston on 01 December, 2013 in Destinations. I absolutely loved this place too- amazing gardens.